Can testosterone protect women against breast cancer? On Monday, I showed you how testosterone isn't just for men. This amazing hormone can perform miracles for women too. It can help keep their cardiovascular system health. And it can do so without causing their hair to fall out or develop facial hair. But I didn't have room to tell you some of the additional benefits of testosterone for women. One specific benefit is with breast cancer. The authors in the study I referenced said, "As early as 1937 it was recognized that breast cancer was an estrogen sensitive cancer; that testosterone was ‘antagonistic' to estrogen and could be used to treat breast cancer as well as other estrogen sensitive diseases including breast pain, chronic mastitis, endometriosis, uterine fibroids, and dysfunctional [abnormal] uterine bleeding." The authors go on to explain why this is true. It's because of the receptors on the cells that testosterone acts on. When testosterone interacts with these receptors, it acts to suppress the action of estrogen on breast tissue. It also inhibits the growth of breast cancer cells. And it increases the death rate of breast cancer cells. "Clinical trials in primates and humans have confirmed that testosterone has a beneficial effect on breast tissue by decreasing breast proliferation [abnormal growth] and preventing stimulation from estradiol. Testosterone does not increase, and likely lowers the risk of breast cancer in women treated with estrogen therapy." 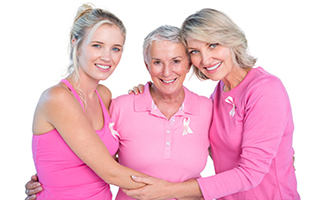 Preventing breast cancer is yet another reason why testosterone should always be a part of a complete hormone replacement for women. But what about blood clots and toxicity to the liver? Concerns about these issues have been raised about testosterone use in both men and women. The studies however show that testosterone "does not adversely affect the liver or increase clotting factors" as long as it's not given in pill form. Creams and other applications of testosterone are safe. How about mood? I've heard concern from some doctors that testosterone will increase aggression in women. Not so. At least not in the usual doses. In fact, women love testosterone. It improves their mood, their enthusiasm for life, and their libido. Lastly, what about overall safety? The authors note that, "There are many excellent reviews on the safety of parenteral [non-oral] testosterone therapy in women. Testosterone implants have been used safely in women since 1938. Long-term data exists on the efficacy, safety, and tolerability in doses of up to 225 mg for up to 40 years of therapy." And here's where it gets really interesting. It turns out that many of the safety effects and concerns about testosterone replacement in women can be attributed to two factors. One factor I have already mentioned. It's pills. Testosterone pills are toxic to the liver. That's why testosterone should never be given to men or women in pill or capsule form. Next is an issue I have told you about before. It's the enzyme called aromatase. Aromatase is an enzyme that converts testosterone to estrogen. And many of the so-called side effects of testosterone are really due to this enzyme. There are a lot of factors that increase aromatase activity. These include getting older, obesity, alcohol intake, insulin resistance, breast cancer, medications, drugs, a processed diet, and lack of regular aerobic exercise. Fortunately, there are herbs and medications that can inactivate aromatase. But here's the point. As long as these factors are taken into account, testosterone replacement in women is entirely safe. In the words of the authors, "The safety of non-oral testosterone therapy in women is well established, including long-term follow up. Adequate testosterone is essential for physical, mental, and emotional health in both sexes. Abandoning myths, misconceptions and unfounded concerns about testosterone and testosterone therapy in women will enable physicians to provide evidence-based recommendations and appropriate therapy." So if you're a woman who lacks energy or libido, talk to your doctor about trying testosterone. It very well could increase both of these and protect you against breast cancer as well. Glaser R, Dimitrakakis C. Testosterone therapy in women: myths and misconceptions. Maturitas. 2013 Mar;74(3):230-4.